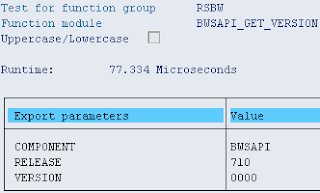 Martin Maruskin blog (something about SAP): How to find out Plug-in version? How to find out Plug-in version? I already discussed in one of my previous posts topic of BI_CONT, PI_BASIS, ST-PI, PI-A, R3-PLUG-IN. In that post I introduced concept of SAP data extraction and delivering it to SAP BW. Basically it is nothing else as SAP API (SAPI) framework for extraction of data from SAP systems. There is one exception. 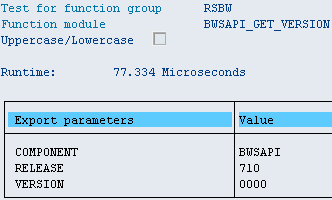 It is in case of SAP ByDesign (BBD) system. There is is delivered differently. Hi, could you contact me directly. I have some questions on your consulting for creating a plugin to sap for cloud based mobile computing.